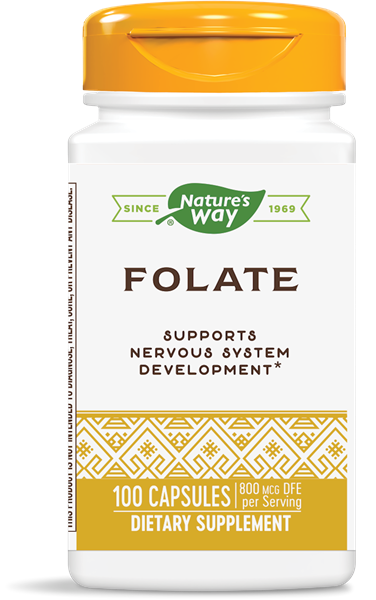 Folic Acid / 100 Caps - Nature's Way®. Folic acid is essential for proper fat metabolism, DNA and RNA synthesis, and tissue growth and repair. * Adequate folate in healthful diets may reduce a woman’s risk of having a child with a brain or spinal cord birth defect.